Tri new flavors. The Clay Serving Bowl with lid and spoon makes a great gift for someone who always opens her home and welcomes you with delicious meals and new recipes. 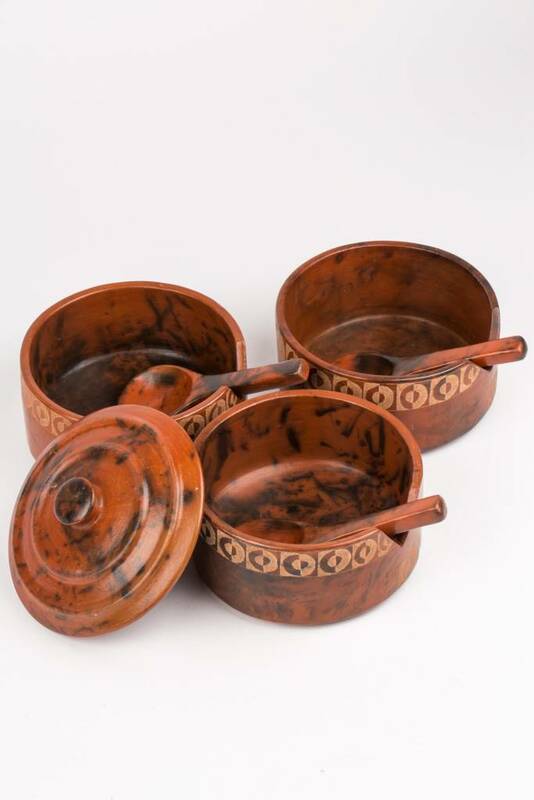 The glazed earthenware has dark brown mottling and a etched geometric pattern. The women of Lombok Pottery Center cooperative create pottery in a tradition passed down through generations for hundreds of years. Using clay dug near their villages, they shape pieces by hand, use simple tools to create designs and fire pots in communal pits using straw and coconut husks. In an impoverished area with little economic opportunity, this skill is a treasure, helping women earn sustainable incomes and their children achieve high levels of education.